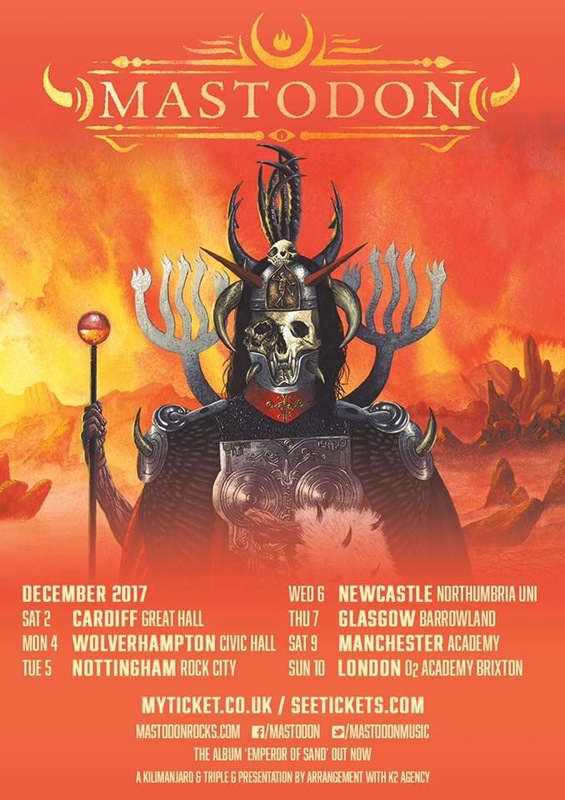 Following their acclaimed North American tour, Mastodon have extended their tour and will travel overseas as they have announced a series of UK dates this fall. The band, who are touring in support of their latest offering Emperor of Sand, will be joined by desert boogie rockers Eagles of Death Metal along with instrumental alt-metal act Russian Circles. The tour includes stops in Wolverhampton, Manchester and London in December.